These five pretty, lovely ladies are high school friends of my wife, and they are each have very unique personalities and character. A loud, fun bunch to hang out with, laughter is a given and it's as if they like to howl at the moon together . Their event decor business is based in Penang. Their passion for each of their projects really show through and their clients and are always happy and mesmerized to walk into an event that they've designed, hand-crafted and set-up. They have worked on many birthday events, ROM's, and weddings, and even clients such as Herbal Essence, Cuvee and E&O. I definitely recommend Customates if you have an event that requires a custom theme ! 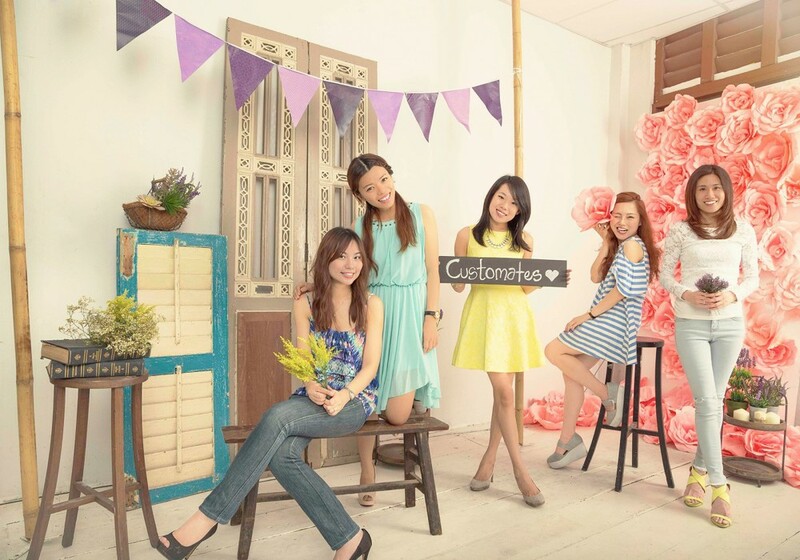 A custom K-pop-inspired photoshoot for Customates, event decors based in Penang, Malaysia. We decorated and shot the series in their "studio"/showroom.